Do you have photos or video of a Tropical Region Odyssey team that you would like to share with our website? 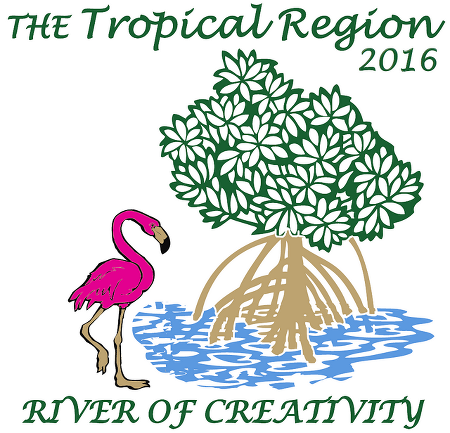 Our social media hashtag for tournament is #tropical2016. The 37th Odyssey of the Mind World Finals held May 25 - May 28 at Iowa State University in Ames, Iowa. 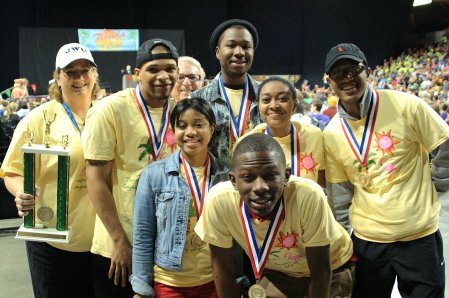 Five Tropical region teams placed in the top five in their long-term problem and division and represented Florida and the Tropical region at World Finals in Iowa. - Streaming video of opening ceremony and awards. The 2016 Florida Odyssey of the Mind State Finals were held at the University of Central Florida on April 9, 2016. Congratulations to all the teams that participated in the state finals. We are very proud of you. 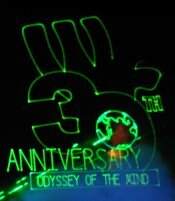 The 36th Odyssey of the Mind World Finals was held May 20 - May 23 at Michigan State University in East Lansing, Michigan. Three Tropical region teams from Howard Drive Elementary, David Lawrence, Jr. K-8 Center, and Palmetto Senior High School participated in the three day competition. Congratulations to all of our Omers on a great year! The 2014 Florida Odyssey of the Mind State Finals were held at the University of Central Florida on April 12, 2014. Three teams placed in the top five in their long-term problem and division and two will represent Florida and the Tropical region at World Finals in Iowa. Congratulations to all teams that participated in the regional tournament. All teams and spectators are invited to share their photos. 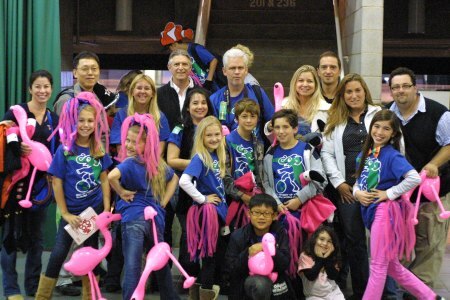 Please email your tournament pics to photos@tropicalodyssey.org. The 2013 Odyssey of the Mind World Finals took place at Michigan State University in East Lansing, MI May 22-25, 2013. Congratulations to the three teams that represented Florida and the Tropical Region at World Finals. Check out tournament photos and results below. The School Board of Miami-Dade County, Florida, recognized our three Odyssey of the Mind world finalist teams at their November 19, 2013 meeting. Howard Drive Elementary placed fourth in Problem 3 Classics... ARTchitecture: The Musical Division I and was joined after the awards ceremony by school board member Dr. Lawrence Feldman. The 2013 Florida Odyssey of the Mind State Finals took place at the University of Central Florida in Orlando on April 6, 2013. Congratulations to all participating teams. Check out tournament photos and results below. The Tropical region had four teams called up to the stage during the awards ceremony. Howard Drive Elementary placed second in Problem 3 Classics... ARTchitecture: The Musical Division I and will represent Florida and the Tropical region at World Finals. David Lawrence Jr. K-8 Center placed second in Problem 5 It's How You Look At It Division II and will represent Florida and the Tropical region at World Finals. Palmetto Middle School placed third in Problem 1 Pet Project Division II. This team also won a Ranatra Fusca Creativity Award and will represent Florida and Tropical at World Finals. Johnson and Wales University placed first in Problem 5 It's How You Look At It Division IV. 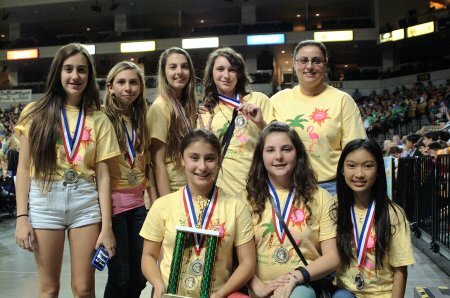 This team will also represent Florida and Tropical at World Finals. Congratulations to all teams that participated in the regional tournament. The 2012 Florida Odyssey of the Mind State Finals took place at the University of Central Florida in Orlando on April 14, 2012. Congratulations to all participating teams. Check out tournament photos and results below. The Tropical Region tournament was held on Saturday, March 3, 2012 at Miami Springs Senior High School. Congratulations to all participating teams. Have a look at the rankings and check back for event photos. Tropical region Odyssey teams from David Lawrence, Jr. K-8 Center and Palmetto Elementary were featured in the Neighbors section on Sunday, June 29, 2011. The Miami-Dade County School Board recognized the teams from David Lawrence Jr., K-8 Center and Palmetto Elementary that represented our region at the 2011 World Finals during the June 2011 Board meeting. School Board Chair Dr. Feldman recognizes Palmetto Elementary School for World Finals 2011 participartion. School Board Member Dr. Karp recognizes David Lawrence Jr., K-8 Center for World Finals 2011 participartion. The 2011 Odyssey of the Mind World Finals was held at the University of Maryland in College Park. Check out these links for information about this year's World Finals. The Miami Herald published an article about our two World Finalist teams upon their return from Maryland. Congratulations to all the teams that participated in the State Finals tournament on Saturday, April 9, 2011 at the University of Central Florida in Orlando. Every Tropical region team did a fantastic job and we are proud of you. Photos of the event have already been posted to our online gallery. Coaches, parents and team members are encouraged to submit their photos to our website. Send us your photos. Just send an email to photos@tropicalodyssey.org. The Tropical region had three teams called up to the stage during the awards ceremony. David Lawrence Jr. K-8 Center placed first in Problem 5 Full Circle Division II and will represent Florida and the Tropical region at World Finals. 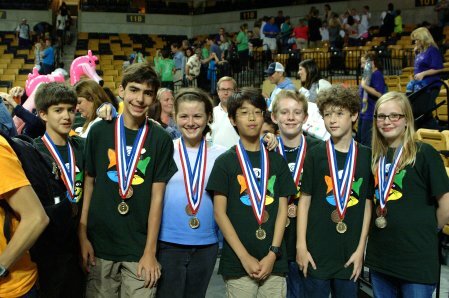 Palmetto Elementary School placed fifth in Problem 1 Extreme Mousemobiles Division I. 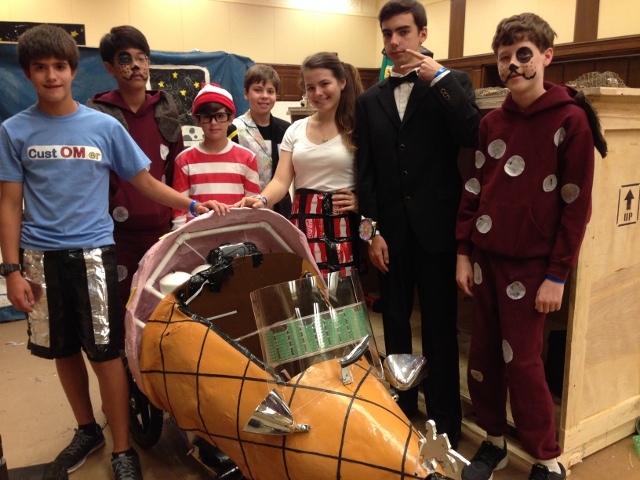 This team also won a Ranatra Fusca Creativity Award and will also represent Florida and Tropical at World Finals. Palmetto Elementary School placed Third in Problem 5 Full Circle Division I.
Congratulations to all teams that participated in our regional tournament on Saturday, February 19, 2011 at Miami Springs Senior High School. Coral Reef Senior High School represented Florida and the Tropical Region in Discovered Treasures Division III at the 2010 World Finals in East Lansing Michigan. Congratulations to all teams that participated in our regional tournament on February 20, 2010. Tournament photographs will be on the site soon. Florida teams participated in the 2009 World Finals Competition at Iowa State University May 27-30. The Trek continued for Coral Reef Senior High after State Finals this April. Following their first place win in Earth Trek Division III the the team journeyed to Iowa State University in May to compete at World Finals. 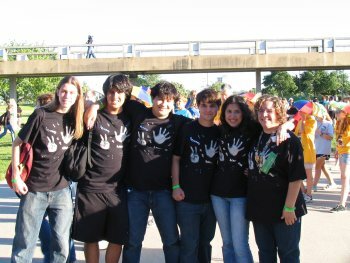 This May 2009 story in The Miami Herald by Kathleen McGrory describes the experience of a team from Coral Reef Senior High School as they developed their Long-Term problem solution and advanced to the Odyssey of the Mind World Finals. Dade County Public Schools press release recognizing 2009 regional tournament winners. Introducing 'Gallery' the new location of Tropical Region competition photographs. All event photographs in one convenient place.